The complete Eye Slay Eyeshadow Sets were expertly designed for stunning eye looks. 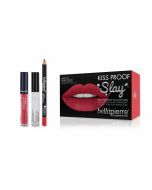 These kits include either three of Bellapierre’s bestselling Shimmer Powders or two Shimmer Powders and a Cosmetic Glitter depending upon the shade option. Finely milled Shimmer Powders are formulated with only three pure and hypoallergenic ingredients that blend like a dream and will not crease throughout the day. Also included is the synthetic Eyeshadow Brush and step-by-step instructions for seamless application. Mica (CI77019), Titanium Dioxide (CI77891), Iron Oxides (CI77492, CI77491, CI77499). May contain : Carmine. Prep the lid. The key to keeping eye shadow from creasing as the day goes on is to keep eyelids oil free. To do this start with Bellapierre Makeup Base (or your favorite primer). Apply to entire upper lid from lash line to brow and as needed a small amount below the lower lash line, this can be applied with a cotton swab. Apply base/transition color. The key to the Natural eye look is pairing a lighter base with the darker hue. Apply the Beige Shimmer Powder to the eyelid blending upwards. Apply darker color. Using the Eyeshadow Brush blend in the Lava Shimmer Powder starting at your lash line, create a V shape on the outer corner of the eyelid blending up. Apply highlight color. Using an eye shadow brush apply the Champagne Shimmer Powder to the upper brow bone and the tear duct area of the eye. Apply base/transition color. The key to the Smoked eye look is pairing a lighter base with the darker hue. Apply the Storm Shimmer Powder to the eyelid blending upwards. Apply darker color. 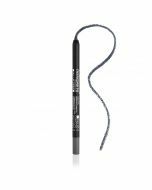 Using the Eyeshadow Brush blend in the Noir Shimmer Powder starting at your lash line, create a V shape on the outer corner of the eyelid blending up. Apply highlight color. Using an eye shadow brush apply the Snowflake Shimmer Powder to the upper brow bone and the tear duct area of the eye. Apply base/transition color. Apply the Tropic Shimmer Powder to the eyelid blending upwards. Apply darker color. Using the Eyeshadow Brush blend in the Bronze Shimmer Powder starting at your lash line, create a V shape on the outer corner of the eyelid blending up. Apply the Glitter. Using an eye shadow brush and Colour Stay (or your favorite glitter adhesive), pat the Turquoise Glitter onto the eyelid in a smooth layer. Apply base/transition color. Apply the Penny Shimmer Powder to the eyelid blending upwards. Apply darker color. Using the Eyeshadow Brush blend in the Diligence Shimmer Powder starting at your lash line, create a V shape on the outer corner of the eyelid blending up. Apply the glitter. Using an eye shadow brush and Colour Stay (or your favorite glitter adhesive), pat the Copper Glitter onto the eyelid in a smooth layer. Apply base/transition color. The key to the Smoked Maroon eye look is pairing a lighter base with the darker hue. Apply the Antiqa Shimmer Powder to the eyelid blending upwards. Apply darker color. Using the Eyeshadow Brush blend in the Espresso Shimmer Powder starting at your lash line, create a V shape on the outer corner of the eyelid blending up. Apply highlight color. 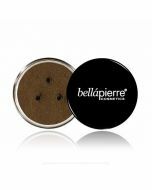 Using an eye shadow brush apply the Deja Vous Shimmer Powder to the upper brow bone and the tear duct area of the eye. Apply base/transition color. The key to the Gilded eye look is pairing a lighter base with the darker hue. Apply the Stage Shimmer Powder to the eyelid blending upwards. Apply darker color. Using the Eyeshadow Brush blend in the Sandy Beige Shimmer Powder starting at your lash line, create a V shape on the outer corner of the eyelid blending up. Apply highlight color. Using an eye shadow brush apply the Oblivious Shimmer Powder to the upper brow bone and the tear duct area of the eye.